Modernizing this kitchen area presented challenges, including revamping a structural element and crafting ideas for storage. 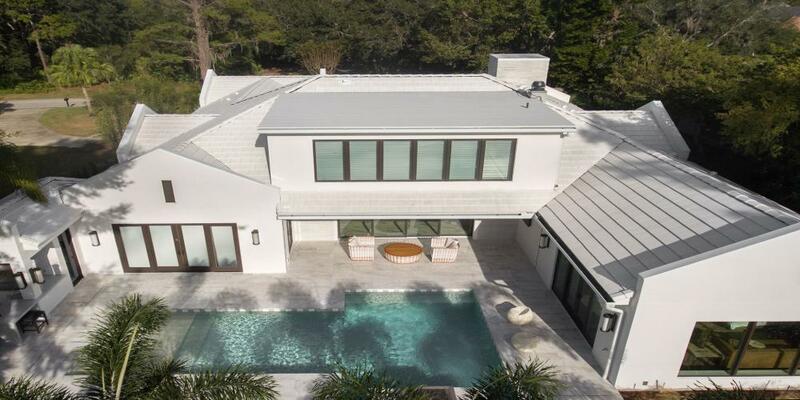 The homeowners wanted to preserve the cooktop’s original brick surround and the new wood trim detail in the living and dining spaces create a feeling of continuity throughout all three areas. New storage solutions, including hidden spice racks and a coffee station, were added to compensate for the removal of storage spaces in the original center island and glass cabinetry. 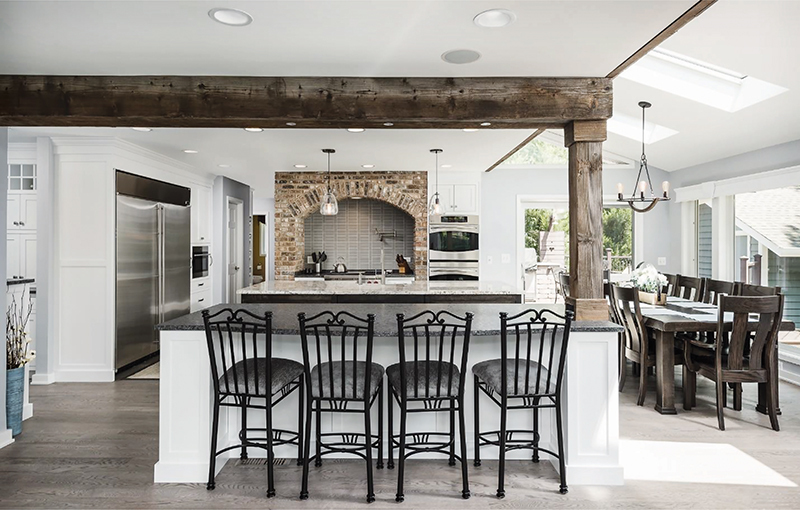 One post in the kitchen could not be removed, so a reclaimed wood ceiling beam was added and hanging cabinets taken out which modernized the kitchen and opened it to the living and dining spaces. Electrical wiring was run through the beam and wrapped post. 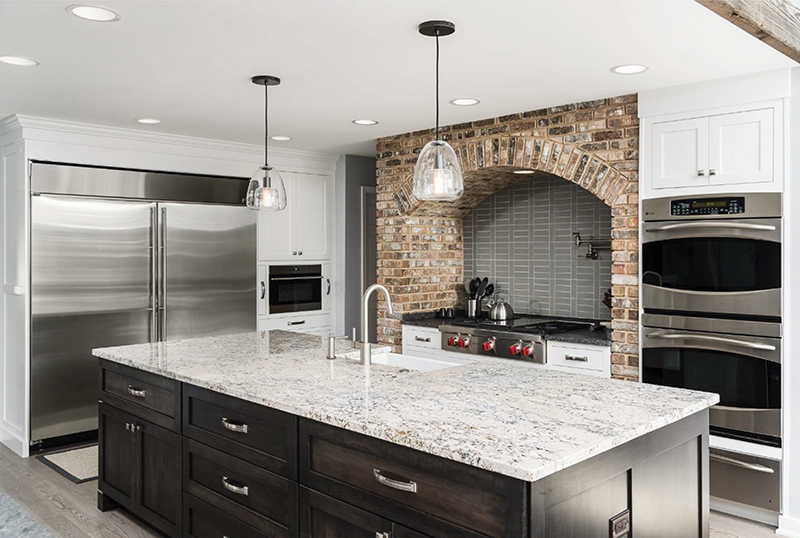 The dark cabinetry and light countertop of the center island hearkens back to the ceiling beam while quietly contrasting with the dark countertop and white cabinetry of second island.